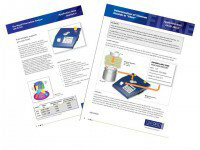 Oxford Instruments Industrial Analysis offer a range of benchtop and portable hand held XRF analysers for elemental analysis. The Oxford Instruments LAB-X3500 is a compact, reliable, affordable and easy to use XRF analyser designed to perform in a wide range of flexible environments, e.g. 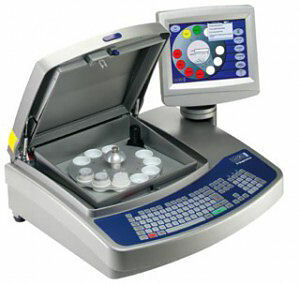 in the laboratory, on-site or wherever analysis is required. Minerals - The analysis of industrial minerals, geological materials which are mined for their commercial value such as Bauxite, Limestone, Kaolin, etc. Cosmetics - Chemical analysis of cosmetics to ensure conformance to product specification and safety as well as cost-effective manufacture - eg Ti, Zirconium etc. 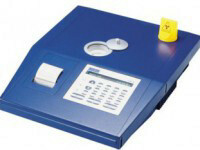 The Oxford Instruments’ X-Supreme8000 is a highly flexible, compact, powerful energy-dispersive X-ray fluorescence (EDXRF) spectrometer suitable for use in the field or in the laboratory. Cement - measure Na2O, MgO Al2O3, SiO2, SO3, Cl, K2O, CaO and Fe2O3 etc. Minerals - Bauxite, Limestone, Kaolin, etc. Mining - Nickel, Lead, Zinc, etc. Cosmetics - Titanium, Zirconium, etc. Petroleum & Oil - Sulphur in Oil; Nickel, Vanadium in fuel oils, Lead in gasoline, etc. Agriculture/Food - Iron, Zinc in wheat, Selenium as an additive, Sulphur in fertilisers, etc. Results obtained using empirical calibrations for highest accuracy and traceability. At the pull of a trigger, Oxford Instruments� hand-held X-MET7000 and X-MET7500 X-ray fluorescence (XRF) analysers deliver fast, highly accurate on-site sample screening and analysis. Process monitoring: concentrates, tailings etc. 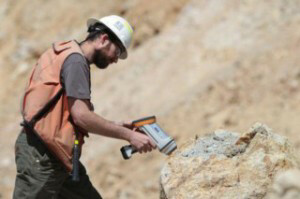 What’s more, X-MET enables precise portable GPS integration for real-time ore exploration and mine mapping. Fe, Cu, Cr, Zn, Pb, Mn, Ni, Co, Mo, Ta, W etc. The top of the range X-MET7500 combines Oxford Instruments’ground-breaking Silicon Drift Detector (SDD) with a powerful 45kV X-ray tube. This cutting edge technology delivers five times faster measurement speed, much better detection limits and significant accuracy improvement over conventional systems. Contact us to find out more about the performance of the X-Met 7000 series and the wide range of accessories available.